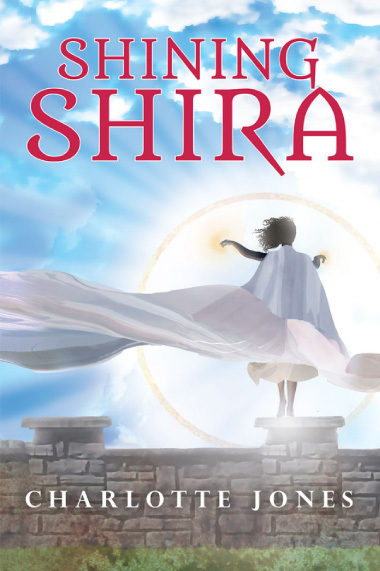 Can Shira endure the trials that await her? On the night of her nineteenth birthday, Shining Shira, the beautiful queen of Sunburst, is abducted. She has less than a day to escape and return to the sunlight. Can she survive the torture of the light flowing through her veins burning her from the inside out? Charlotte Jones fought being a writer her whole life. She was born in 1997 in Lexington, Massachusetts, to her parents, Jeff and Margaret Jones. About a year later, the family moved to Bloomington, Indiana, where she grew up as the oldest of four children along with several dogs and her youngest brother’s pet tortoise. Reading, playing pretend, and writing short stories were huge portions of her childhood, but she never considered a career in writing an option because, beginning in third grade, she believed she was destined to be a doctor. This idea permeated her academic pursuits through high school as she chose to take as much science as she could, even as she fell more and more in love with her humanities classes, specifically her film literature, English, and Latin classes. Charlotte had officially begun writing about Shira and Conrad between her eighth and ninth grade summer, but Sunburst as an idea had been with her since fifth grade, when her teacher had assigned a project based on C. S. Lewis’s The Chronicles of Narnia. The project requirements were simple: create a magical kingdom with three magical creatures, and invent a title that began with the same letter or sound as the king or queen’s first name. Initially, she wrote short stories about Shining Charlotte, but very quickly Charlotte found herself replaced with an entirely different person—Shira. Charlotte completed Shining Shira in the winter of 2014, in the midst of her college applications. Right around this time, she began seriously to question her desire to be a doctor because she realized the true extent of her love for literature and writing. This was further underscored in her acceptance and decision to attend Colby College in Waterville, Maine, a liberal arts college at which humanities majors proliferate. She is a member of Colby’s class of 2019. Charlotte has now embraced life as an English major with a concentration in creative writing and double minoring in art and in cinema studies. When not a summer camp counselor at Eagle Lake Camps in Colorado, she can be found in obscure coffee shops listening to NEEDTOBREATHE, drinking chai, and furthering her work on a new dystopian series. Charlotte adores hearing from her readers, and she will happily try to respond as quickly as she can. All comments or feedback are much appreciated!